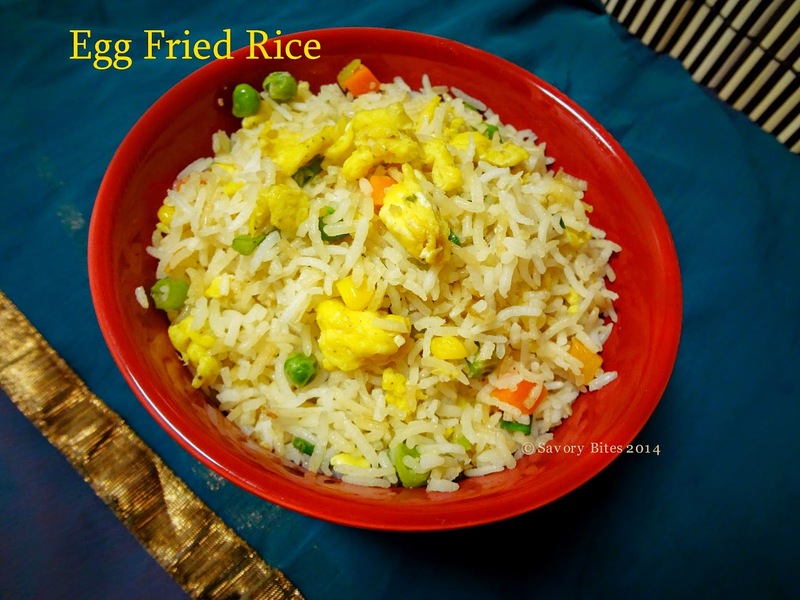 I specially love eating fried rice with any other sides or gravy dishes that would go really well with it. One of my favorites are Kung Pao Chicken and Prawns in Garlic Sauce ...yumm...ok now i am drooling!! Guess what, I made Egg Fried Rice and Kung Pao Chicken too...yaay... and both turned out super-duper good!! So give my dish a try and enjoy this restaurant style dish at home!! Wash and cook rice till its 90% done. Keep it aside to cool off. Add black pepper powder,salt and peanut oil to eggs. When the wok is very hot, add the eggs mixture in batches to wok. Tilt the wok and make swirls of egg to spread it properly. Put your cooking skills to test now.....and make as fluffy scrambled eggs as you can!! Pour this in a separate bowl. Now in the same wok,add vegetable oil, add all veggies and stir on high heat. Swirl the wok continuously so that veggies wont burn. Add rice, salt,white pepper powder,soy sauce,vinegar and top it off with sesame oil. Keep stirring the rice so that it does not stick or burn and continuously swirl the wok. Add scrambled eggs and scallion green. Turn off the heat and serve with any sides of your choice. 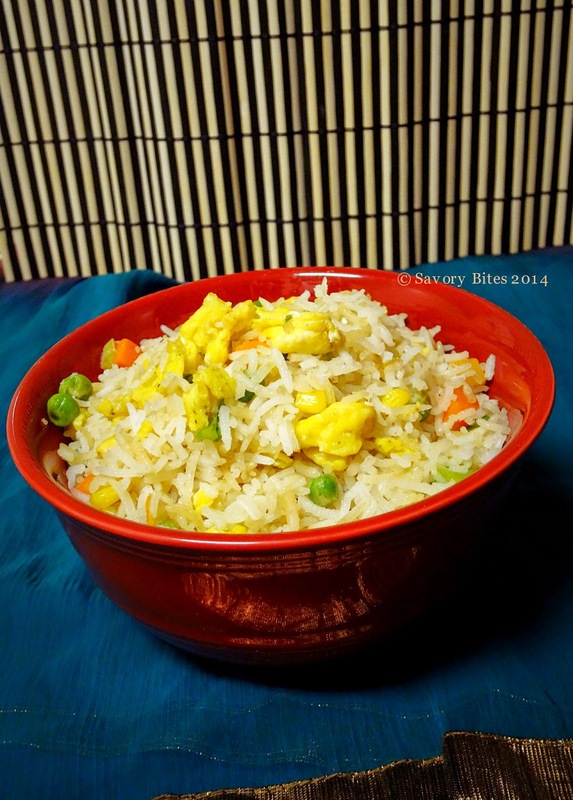 To get the right flavor of the fried rice, always cook on high heat. You can make a veg fried rice out of this too. Just omit eggs and use any veggies of your choice. Use capsicum or cabbage too. You can use spice levels as per your choice.